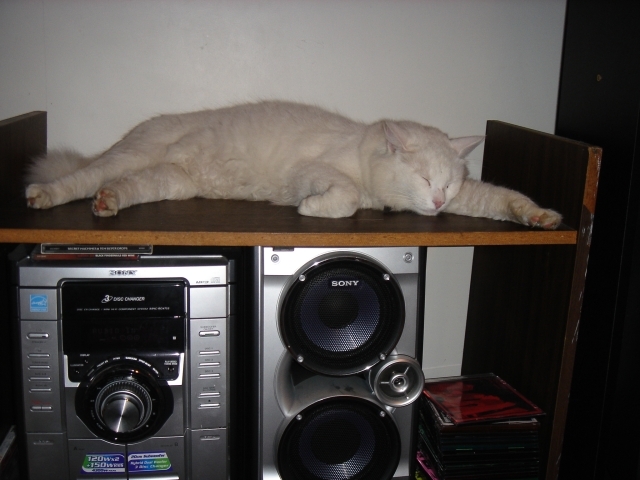 Kosh Records was named after our old cat, an enormous longhaired white cat who was arguably even weirder than his namesake. Like many white cats he was totally deaf, which was probably for the best. He also had a tendency to sleep in spots that didn’t look remotely comfortable. Just imagine him doing this in the middle of the road. We had a couple of other cats at the same time as well, including a ginger named Scully. I suppose there’s a certain irony in the fact that these cats got on pretty well, considering we named one after an extraterrestrial mystic and the other after an alien denier. 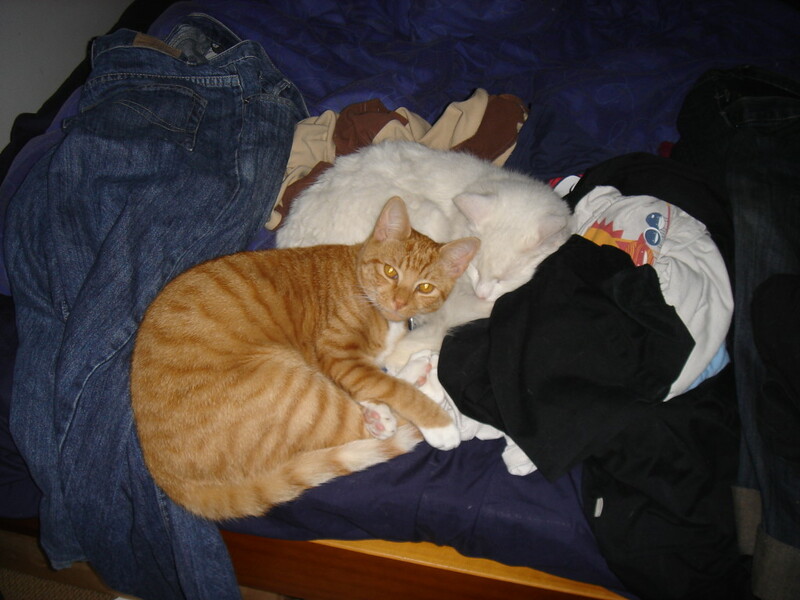 All that bed space, and they still wanted to sleep on top of the dirty clothes. So why the random blog post about cats? Well this is the internet, but if you really need a reason someone recently pointed me in the direction of “Scully Likes Science”. Basically it’s a bunch of clips of Scully (the TV version) telling everyone about the awesomeness of science, set to music by Ryan English. Feel the nostalgia! http://www.youtube.com/watch?v=yscLj2FySdo Stay tuned for a post about the cats we currently have, due in about seven years’ time.